These fun orange gelatin cups take the fun Halloween jack-o-lanterns past the healthy Halloween fruit cup and allow you to turn just about any snack into a fun jack-o-lantern snack. 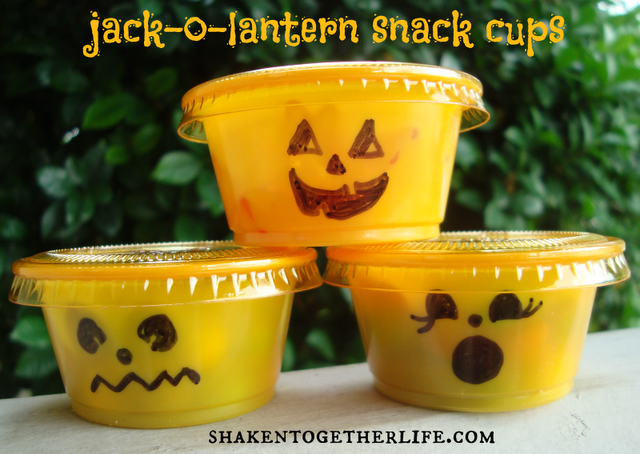 You can check out these jack-o-lantern snack cup ideas over at Shaken Together Life. Lorie - thank you SO much for featuring my jack-o-lantern snack cups! What an awesome surprise! !